"Yolanda the owner and the two girls were just wonderful and..."
Have a question for Casa Yolanda? 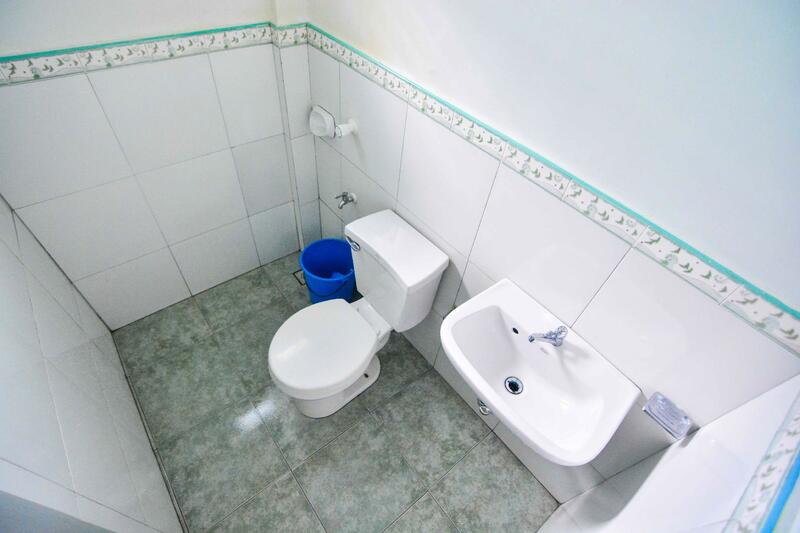 "Since El Nido is crowded and there are still many construction buildings in progress, the location in town is good;"
"Nice, quiet place to stay." "Nice location, tidy room and helpful staff." Designed for both business and leisure travel, Casa Yolanda is ideally situated in El Nido; one of the city's most popular locales. The excitement of the city center is only 1.1 km away. With its convenient location, the hotel offers easy access to the city's must-see destinations. Casa Yolanda offers impeccable service and all the essential amenities to invigorate travelers. Guests of the hotel can enjoy on-site features like daily housekeeping, ticket service, luggage storage, room service, tours. The ambiance of Casa Yolanda is reflected in every guestroom. linens, mirror, towels, closet, internet access – wireless (complimentary) are just some of the facilities that can be found throughout the property. The hotel offers many unique recreational opportunities such as massage, garden. Casa Yolanda is a smart choice for travelers to Palawan, offering a relaxed and hassle-free stay every time. "Definitely i love staying here super HOME the ambiance." A spacious room with a rustic feel. This was a short stop for us after the ferry from Coron. It's easy to find up a short hill from the ferry and the staff were very nice. There is internet (a little slow), free water and free coffee at all times too. I loved this place. Yolanda the owner and the two girls were just wonderful and very very helpful. I love the location. You can walk anywhere in town. It's close enough to the nightlife (3 to 5 minute walk) but far enough to enjoy an nice quite evening in bed without the noice. The WiFi was in and out all the time, but other than that.... i love this place and would definitely stay again. Pros: clean, friendly safe, Honest,. Cons: need night watchman to shoo off any noisy dog or cat that may come from anywhere outside of the facility. Suggest using the back up generator that they already have whenever the Electricity goes off – something that Happens occasionally in all of El Nido Personal suggestion – pay extra money for the AC. It will allow you to close the windows good night. You can get a better sleep and not hear any animal noises night. Suggest you bring enough good quality strong mosquito spray because the mosquitoes in Alito are very stubborn! LOL trust me you’ll thank me for this. Highly suggest you ask for or even buy a bed mosquito net if the place does not already have one. I didn’t ask them – but some places do already have them available. Great location, 5 mins walk from all the bars and food places. Staff were really friendly and helpful. Very clean. WiFi isn’t great and there was no hot water but this didn’t spoil our stay here. Would definitely stay here again if we were to come back to El Nido. I would recommend spending a little more for somewhere else! The water was cutt off for about two hours and we had to ask twice for it to be turned on and then early the next morning the power went out leaving us in a dark hot dingy room with no fan - I can understand that these things happen from time to time but they staff didn’t seem to care or offer any assistance. The room was also on the side of a busy road with dogs barking all hours and the room was so gloomy it was far from a peaceful nights sleep! Casa Yolanda was great! 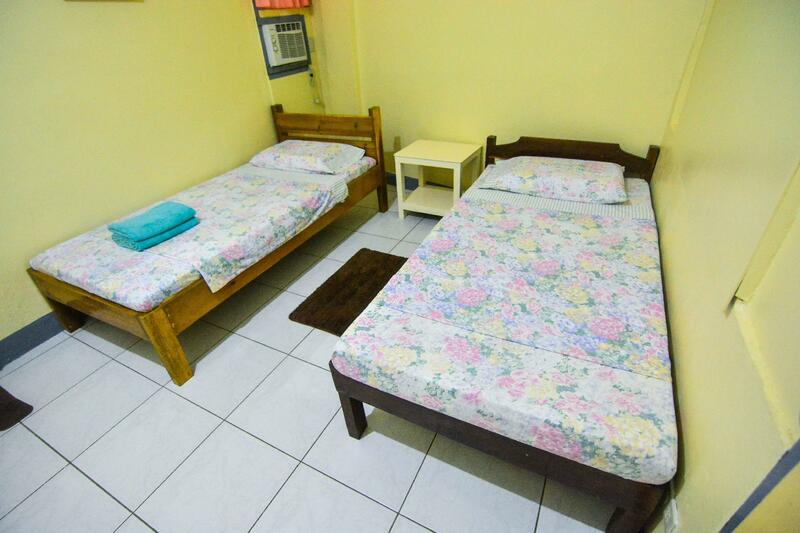 Yolanda is very nice, the room/guesthouse is super clean and in a excellent location! Less then 5min walk to the main tourist area. The comments about being bit are ridiculous, Philippines sea has A LOT of sea lice and there were likely bitten by sea lice not a bug at Yolanda’s... would highly recommend and definitely return next time we’re in el nido. 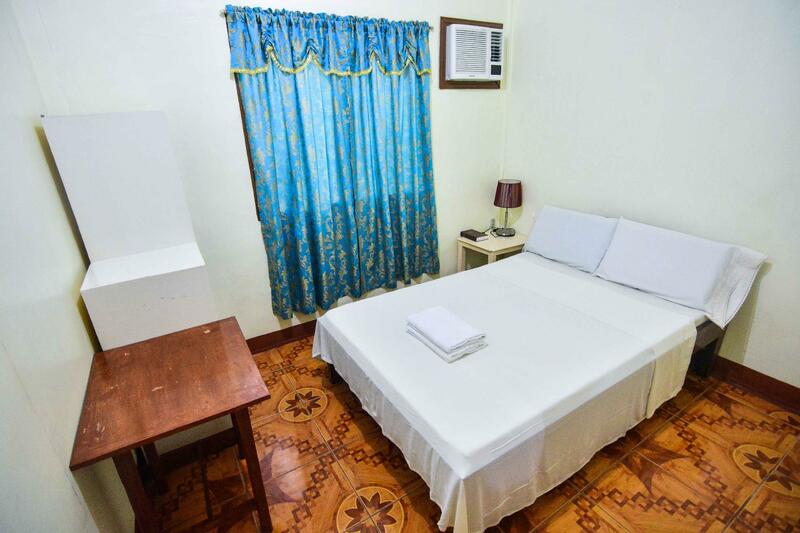 Lovely clean and comfortable room with AC away from the bussle of El Nido town. No hot water but it isn't needed. The hotel has a generator when there's a power cut, which does happen a fair bit, and you have to ask the owner to turn it on if you're getting really hot! Stayed there 4 nights Feb 6-9 and recieved a warm welcome. Although a 2 star rated I believe their service is close to a 3 star hotel. A short walk 5 minutes from downtown El Nido. Breakfast items could have been better had their been a demand from customers. Wi Fi works close to the office. Basic email works fine. Value for money, clean rooms at least the one we satyed in with a small balcony with table and 2 chairs. Family oriented hotel. My friends and I are satisfied with Casa Yolanda. We arrived early and we could check-in immediately, and they let my friend who stayed in El Nido for a day tour took a rest in our room. Their day tours are reasonable too. This could easily be a 4 star stay if the owner recognised her responsibilities. She advertises internet but was unable to provide it half the time (over 6 days). She even refused to top up her account at the end. She was dishonest with Agoda about the internet issues. The other issue was the significant noise intrusion from her TV and from loud voices, which is odd considering her keep quiet and be considerate sign in the room. Hard to recommend. We stayed here for a single night and got their best room with a/c, but to be completely honest this hostel is really too expensive for what it offers. Specially because we later found another hostel that was cheaper, cleaner and in a better location. The infrastructure in the hostel was ok. Our room smelled really stuffy and humid which to me is not a good sign specially for a room that has a/c. The walls have recently been painted so the rooms have a real strong paint smell. It’s close enough to downtown El Nido and is not so noisy. The place was absolutely worth it for the cost. It's close to town and the room was comfortable. The owner, Yolanda, was also helpful with our requests. Disappointing. The room is tiny! I mean two backpacks and you struggle to move around. It could do with having less furniture in the room. The fan is a desk fan but fitted to the ceiling so is very noisy and doesn’t do a lot. The room is very damp and gets extremely hot. Maybe better with air con but it was 4,000 more a night for that and considering it’s not cheap in the first place. The bathroom again is tiny, the toilet is so close to the wall in front that it’s hard to sit down. You have to stand over the toilet to get in the shower. I was bitten by something in the bed but when I spoke to the owner she simply said “we don’t have bed bugs”, not sure how she knows that for sure when there have been previous reviews stating they’ve been bitten. Stayed 5 nights and had to ask for the sheets and towels to be changed after three days, in that hot room the sheets get damp! Location is okish, walk from the beach and the bars etc and down a side alley. The staff was helpful and friendly. The location is about a 12 minute walk to the beach, so it's close but a bit quieter than the other locations. The wifi was on and off and slow, which can be a bit of a problem if you're trying to meet up with other people in town – also free wifi around town is hard to come by. The hotel is very clean and the rooms are in great condition. The AC was one of the most quiet ones we had during our 3 weeks in the philippines. They have breakfast at the hotel and it was ok and cheap compared to the restaurants on the main streets. There is also free coffee and hot water available at all times, and drinking water to refill your bottle. Our room had a small balcony with chairs and a table. I dont think all rooms have this but there is a nice seating area around the reception where you can eat your own food (there is a nice bakery in town with delicious fresh bread and pastries) and enjoy the coffee. You can book tours and transport at the hotel. There is a wi-fi but it doesnt work. During our 7 nights here we couldnt even send a single e-mail with this connection. It would be better to remove the info about free wi-fi because there is none. Just a few minutes walk away from the main streets which means it a bit more quiet. All-in-all a great budget friendly place with great value, but forget the wi-fi. Really nice clean rooms, great location a couple minutes from town which is good because you don't get the town noise so bad. helpful and friendly staff. Strong fan. Can book trips/boats there and hire bikes. Would stay again. We booked a double room with aircon. It is super good deal for El Nido. Located in a quiet street so you can sleep well. As usual for el Nido the room is small but there is enough space to place the luggage beside the bed. 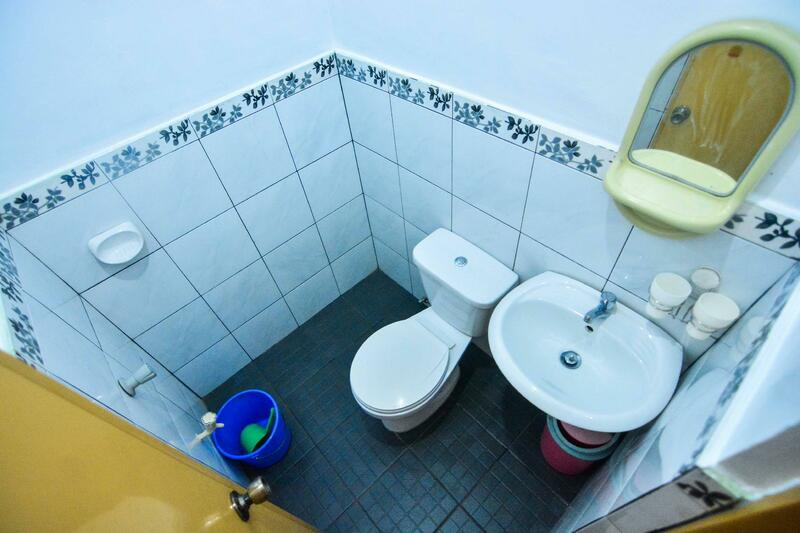 The bathroom is also small. The room and bathroom were very clean. The owner is very friendly, she is smiling all the time and she speaks basic english. We took the island hopping tour at the guesthouse - the price is good (haven't seen any lower at the advertisments around the town) and it was well organized. Recommended. We also booked the boat to Coron which was then cancelled due to typhoon so she arranged everything to get us on the next boat (we could also opt for money refund). Wifi was working most of the time and was good for basic search. I would definitely recommend Casa Yolanda.